Two Boston neuroscientists, Doo Yeon Kim and Rudolph E. Tanzi have used human brain cells to create telltale structures of the Alzheimer’s disease in a petri dish. Their research has paved the way for many scientists to fully understand how Alzheimer’s develop and grow, and what genetic or chemical factors are responsible for its growth. The new research will also open the way to test many drugs known to potentially treat Alzheimer’s disease in patients. 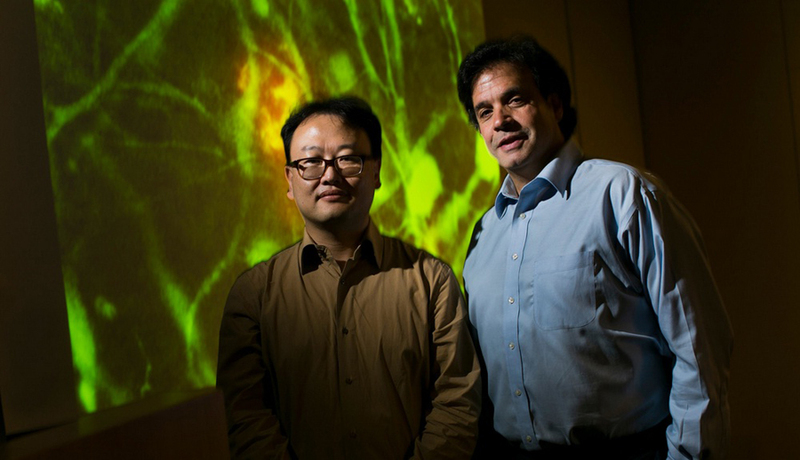 Doo Yeon Kim had suggested to Rudolph E. Tanzi to grow human brain cells in a gel, and after some time they found that Alzheimer’s neurons and structures started to grow in the petri dish used for the experiment. What the researchers did was to grow a number of human embryonic stem cells with a number of chemicals that turneda them into neurons; then they introduced Alzheimer’s genes into the neurons and then grew this with a commercial gel in petri dishes…and then waited for a week or two. “Sure enough, we saw plaques, real plaques,” Dr. Tanzi said. “We waited, and then we saw tangles, actual tangles. It looks like you are looking at an Alzheimer brain.” He was able to prevent the formation of amyloid, which is the protein that clumps into plaques. According to Dr. P. Murali Doraiswamy, an Alzheimer’s researcher at Duke University, “it is a giant step forward for the field. It could dramatically accelerate testing of new drug candidates.” And that is what Dr. Tanzi is up to now – to test 1,200 Alzheimer’s drugs and other 5,000 experimental drugs that have gone beyond the first clinical testing, in his petri dish system. “We can test hundreds of thousands of drugs in a matter of months,” says Dr. Tanzi, a feat that would be definitely impossible with testing on mice because each drug takes about a year to test on lab mice.